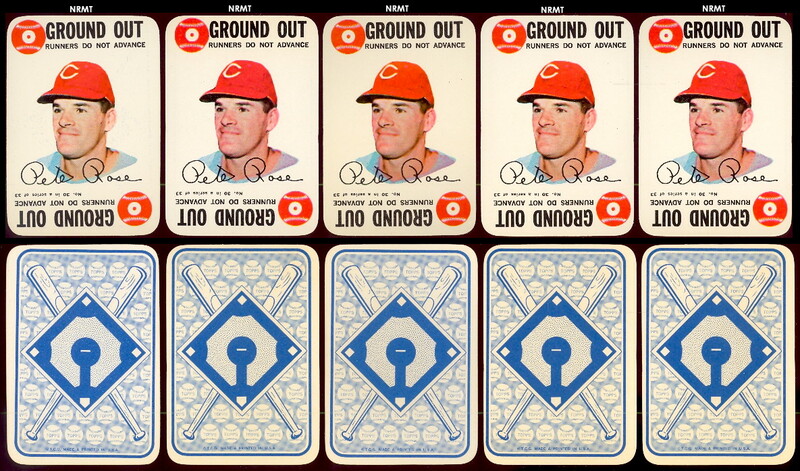 A throwback to the Red and Blue Back set 1951, the 33-cards in the 1968 Topps Game inserted into packs of regular'68 Topps card purchases as a complete boxed set, enable owner to play a game of baseball based on game situations on each card. 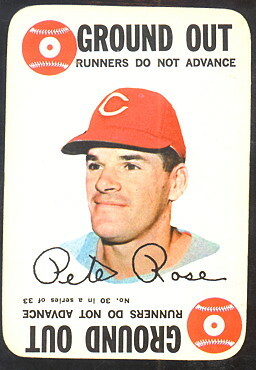 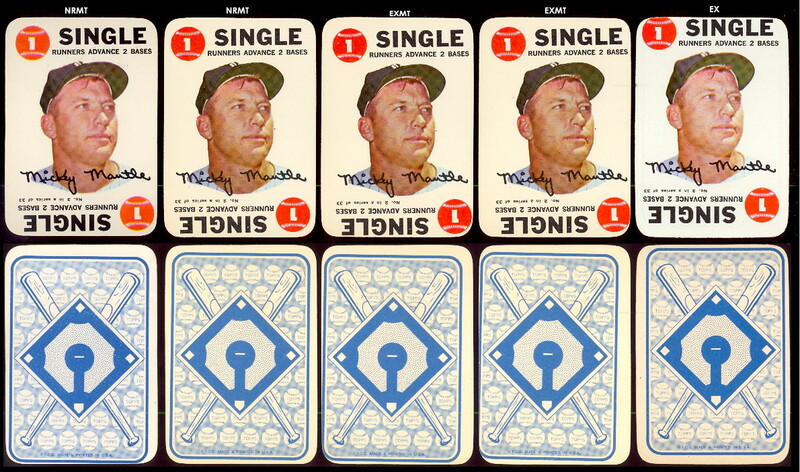 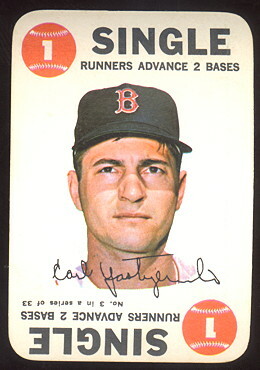 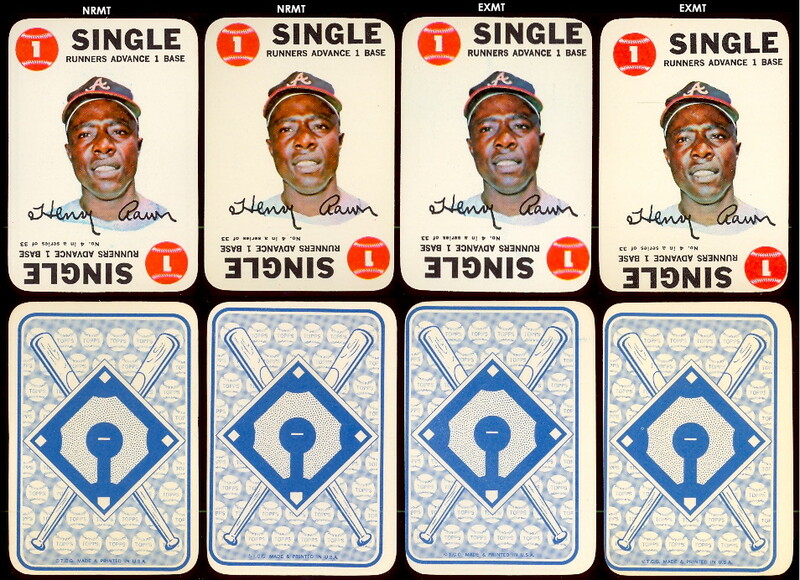 Also on the 2-1/4" by 3-1/4" cards were a color photograph of a player and his facsimile autograph. 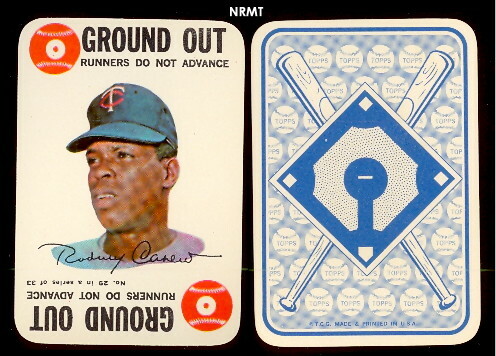 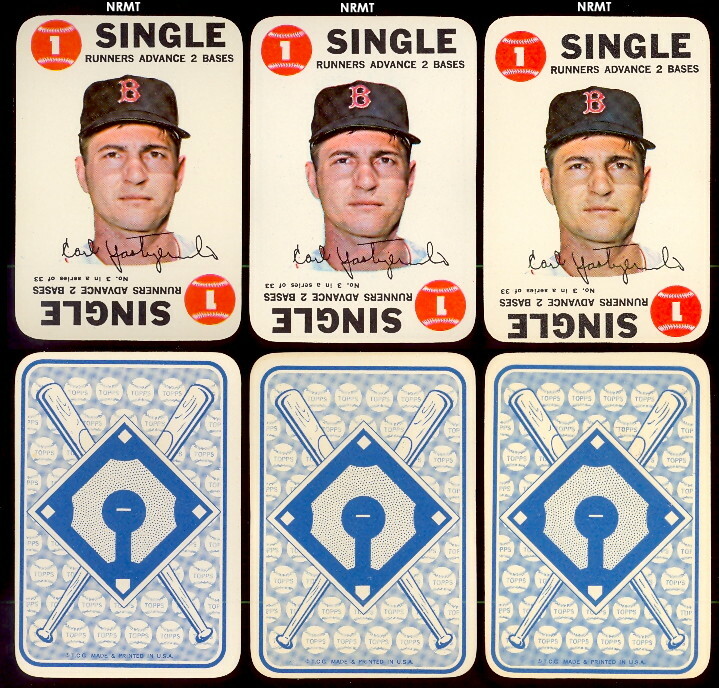 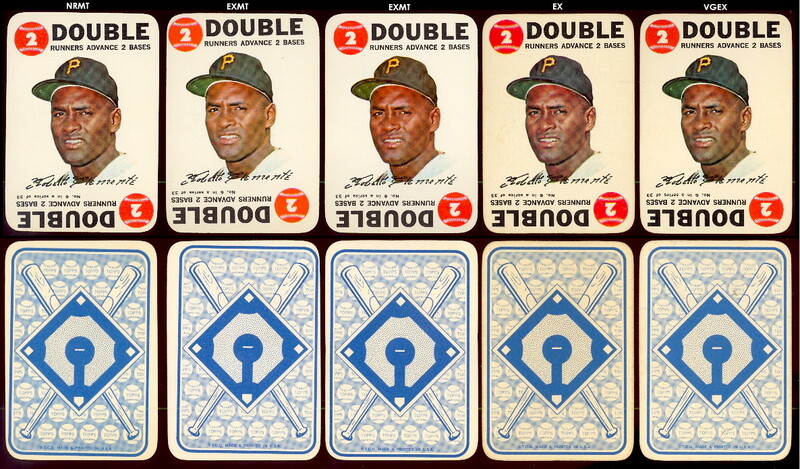 One redeeming social value of the set (assuming you're not mesmerized by the game) is that it affords an inexpensive way to get big-name cards as the set is loaded with stars, but not at all popular with collectors.